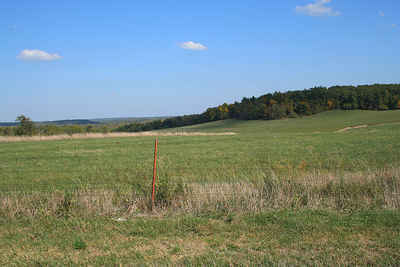 Dent County is a county located in the state of Missouri. Based on the 2010 census, the population was 15,657. 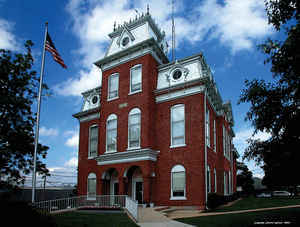 The largest city and county seat is Salem. The county was officially organized on February 10, 1851 by Dustin Counts & Nicholas Berardy, and is named after state representative Lewis Dent, a pioneer settler who arrived in Missouri from Virginia in 1835. Named for Lewis Dent, pioneer settler. Source: O'Brien, Anna. 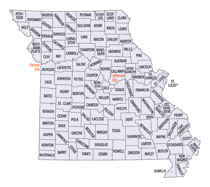 "Place Names Of Five Central Southern Counties of Missouri." M.A. thesis., University of Missouri-Columbia, 1939. As reported by the Census Bureau, the county has a total area of 755 square miles (1,960 km2), of which 753 square miles (1,950 km2) is land and 1.7 square miles (4.4 km2) (0.2%) is water. Of adults 25 years of age and older in Dent County, 66.3% possesses a high school diploma or higher while 10.1% holds a bachelor's degree or higher as their highest educational attainment. Ozark Hills State School - Salem - (K-12) - A school for handicapped students and those with other special needs. Southwest Baptist University Annex - Salem - A satellite campus of Southwest Baptist University.